There’s no such thing as a product that sells itself. That’s especially true in auto sales. No matter how sleek and shiny your inventory may be, buyers always have plenty of options and plenty of ways to say no. Your cars won’t sell themselves; you need a sales team to close deals and move inventory. Yet, auto sales reps are a bit like athletes: Even the best ones need some coaching if they’re going to perform at a peak level. The question is, what coaching techniques are most effective as you try to push your sales team toward success? Here are a few tips from the Get My Auto staff. Great coaching requires trust. In order to have a serious and candid discussion with your sales reps, you have to take off your boss’s hat and put on your coach’s hat—and that means adopting a non-judgmental attitude. Make it clear that you just want to talk frankly about sales strategies, not to berate anyone for their performance. Use questions to guide the conversation. Most of us don’t like being told what to do—so instead of barking orders at your sales reps, try to lead them to a place of self-discovery. Ask them questions about what they do and why they do it. Guide them through self-inventory, which can lead to realizations and clarifications. Ask for a self-appraisal. It’s always helpful to have a sense of how each sales rep views his or her own track record. As you coach a rep, ask them to name their own biggest strengths and weaknesses. Try to offer a single focus area for each coaching session. Most of us struggle with multi-tasking, and asking a rep to focus on several things at once can be overwhelming. Instead, try to zero in on one particular way in which that rep can work to improve. Provide an action plan. At the end of each coaching session, provide the rep with an action plan—just a few simple steps he or she can take to make the necessary improvements. Also built in some accountability. Set the time for when you’ll meet next and clarify the metrics you’ll use to determine whether progress was made. 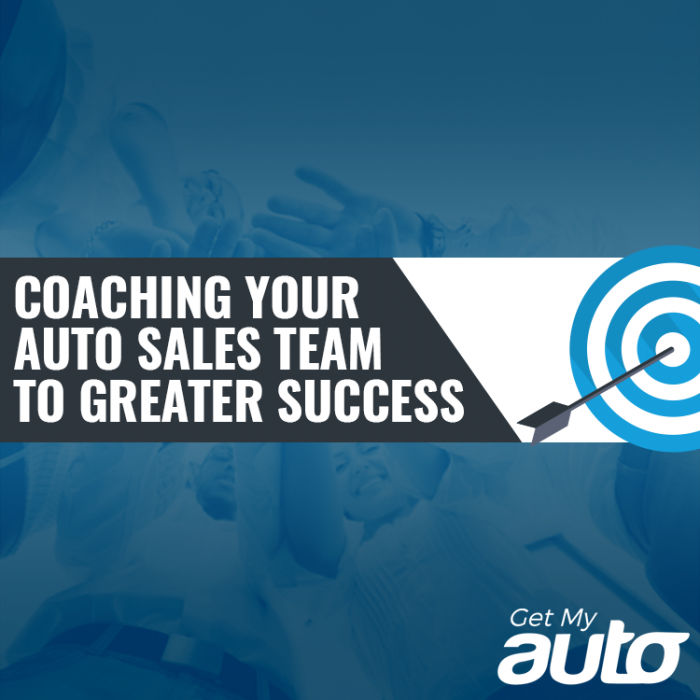 Coaching is one of the best things you can do for your used car sales team. 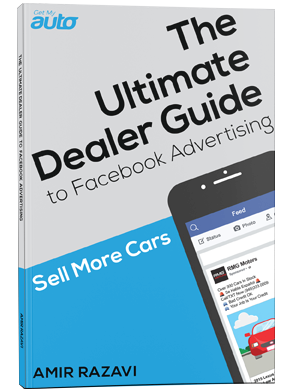 Another way to help them is to make sure they’re getting plenty of hot leads—something you can accomplish through a robust dealership marketing plan. At Get My Auto, we’re experts in dealership marketing. We’d love to work with you to put a marketing plan in place, catapulting your sales team to an even higher level of success. Reach out to Get My Auto to begin that conversation today!